Well there are of course still Cockneys in London but less and less as the years go by and in many inner-city areas, this ancient London English is being replaced by the more exotic Multicultural London English, with it’s youthfulness and numerous ethnic influences. 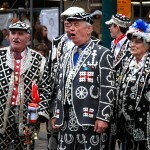 You are now more likely to hear the Cockney dialect in the outer regions of London and in the counties that fall just outside the Greater London boundaries, counties like Essex and Hertfordshire. There are two distinct and significant reasons for this. Greater prosperity has meant that many Cockneys moved away from their original inner-city homes to the leafier suburbs with its larger houses and green spaces. Secondly, much slum clearance, particularly before and after the 2nd World War, meant that huge numbers of Cockneys were relocated to housing estates on the outskirts of London, a good example being the massive Becontree estate in the Barking and Dagenham area, home to 100,000 people and probably the largest public housing development in the world. Of course, wherever they may live, the cockneys are famous for their inventiveness with the English language and this is typified by their use of rhyming slang, originally developed as a kind of secret language by Cockney street traders ( costermongers ) and criminals to discuss their illicit activities without strangers (possible police informants) being able to know what they were talking about. Basically, the ‘slang’ is created by replacing a word with a pair of words, the second of which rhymes with the original word and then you eliminate the rhyming part. 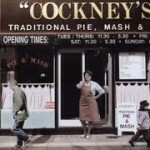 A simple example would be: head > loaf of bread > so loaf = head in Cockney…..example use: ”Use your loaf, you silly boy!” It is of course fun to play around with the language in this way and to this day cockney rhyming slang is still very much a part of London English: Here’s a few examples still in regular use: Slang Standard English Example use Barnet Fair Hair “ Your Barnet looks good today” Ruby Murray Curry “ I really feel like a ruby tonight” Butcher’s Hook Look “ let’s have a butcher’s” Half-Inch Pinch “ who’s half-inched my pen?” Trouble and Strife Wife “ I’ll speak to the trouble later” Whistle and Flute Suit “Nice whistle!” Adam and Eve Believe “ I don’t Adam and Eve it! Boat Race Face “ Look at his miserable boat!” China Plate Mate (friend) “ Hello my old China!” Dog and Bone Phone “ call me on the dog” There are countless examples of Cockneys and their brand of London English in films, TV and books. Cockney characters can be found in the books of Charles Dickens ( The Artful Dodger in Oliver Twist, Sam Weller in the Pickwick Papers), written nearly 200 years ago, through to the present-day phenomenally popular BBC TV soap opera Eastenders which is still running after 25 years! To give you an idea as to how it sounds, here’s two examples of Cockney speech. Firstly here’s a clip of three London men, the older two are definitely cockneys, interviewed at the Lord John Russell Pub in the Bloomsbury area of London. They are talking about cockney rhyming slang they know. And here’s the opening sequence from the feted London gangster movie Lock, Stock and Two Smoking Barrels. Plenty of Cockney talk in this film!